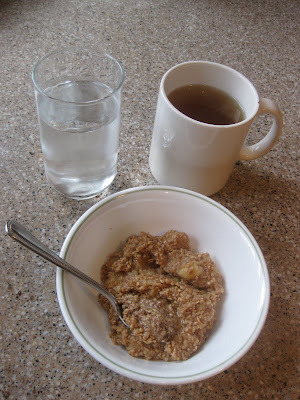 8:30 a.m. : Yum with my deja-vu of a breakfast, banana oatmeal with almond butter & green tea. 9:00 - 10:15 a.m. : The leisurely time it took to get pretty and ready for my day in the city. 11:00-11:45 a.m. : Exploring The New York Public Library with Chrissie. 12:30 - 1:30 p.m. : The sweetest of lunches with Chris & C at the MacarOn Café. 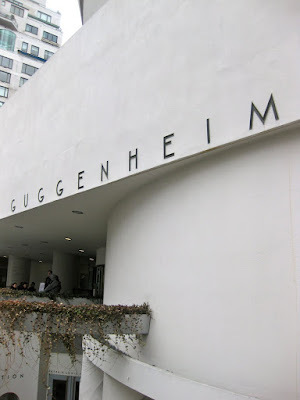 2:30 - 4:30 p.m. : Wandering through The Guggenheim Museum, especially the "Paris and the Avant-Garde" exhibition. 4:30 - 5:30 p.m. : Strolling downtown along Central Park. 5:30 - 6:30 p.m. : Avoiding the elements by ducking into a Village café and leyendo. Hope your week began just as wonderfully! The yoga mat has my soul for the next hour then I'm off to bed. Chris and I have got another exciting plan for tomorrow. Good night beautifuls! Looks like you are having a blast! I have always wanted to try Ethiopian food - it looks so interesting! Do you know if it is hard to find vegan Ethiopian food? Or is there a lot of creams/cheeses in their dishes? What a great day! 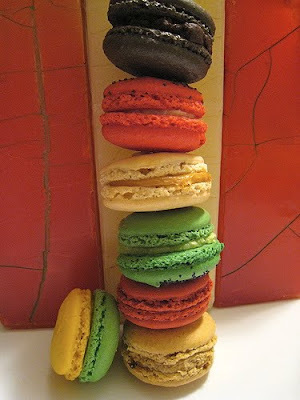 Makes me excited to get back to the city next week :) I have to try the MacarOn cafe, it looks scrumptious! Have a good one love! Gabriela: Thanks! Please go, it was so cute and delicious! So glad to hear a glowing review of Ethiopian food, as I have never tried it. I love how colorful it is! ohhh..ethiopian food! i've never tried it, but i would sure love to! BroccoliHut: For sure, vibrancy at it's best. I highly recommend it! Yum, that Ethiopian feast looks good, I actually think I'm headed to an Ethiopian restaurant tonight. Hope you're enjoying Spring Break! Ada: Aw, thank you :) hope you get to one, thanks and you too! Great meeting you too! I just saw you're a Syracuse student - I was too! Go SU :) Hope to see you at future blogger events! as i scattered through your blogs i came across this Macaron blog and had to agree that it is absolutely fabulous and the vegetarian baguette is my favorite! Amanda: Aw, thank you! Haha, hope you enjoy them soon :) same to you!